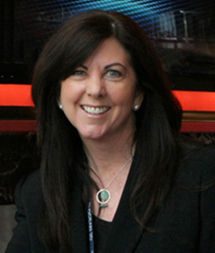 As former Associate Producer and Director of Special Projects for MacGillivray Freeman Films (MFF), Kathy Almon has more than 25 years of experience in giant screen project development, film production, and film marketing. In that role, she oversaw the music and narrator talent recruitment for MFF projects, securing the participation of Meryl Streep, Robert Redford, Helen Mirren, Paul McCartney, and the Dave Matthews Band. Kathy project managed the films The Living Sea (Academy Award-nominated) and Everest (highest-grossing giant-screen documentary), and she managed the multi-city, multi-speaker education series for Dolphins (Academy Award-nominated). Kathy now serves as Director of Special Projects for the One World One Ocean Foundation, overseeing donor relations, membership, development of core programs, ocean ambassador recruitment and outreach programs, and management of partner relations and member events. In addition, she also works closely with the Foundation’s Board of Directors and Advisory Counsel. She coordinates with the One World One Ocean Campaign to activate and integrate partner alliances initiatives with the Foundation’s and Campaign’s programs and public outreach. Kathy also works with and engages donors, partners, advisors and ambassadors to work together toward the Foundation’s goals.